It’s like the God’s of Kdrama are laughing down upon me….and not in a good way. 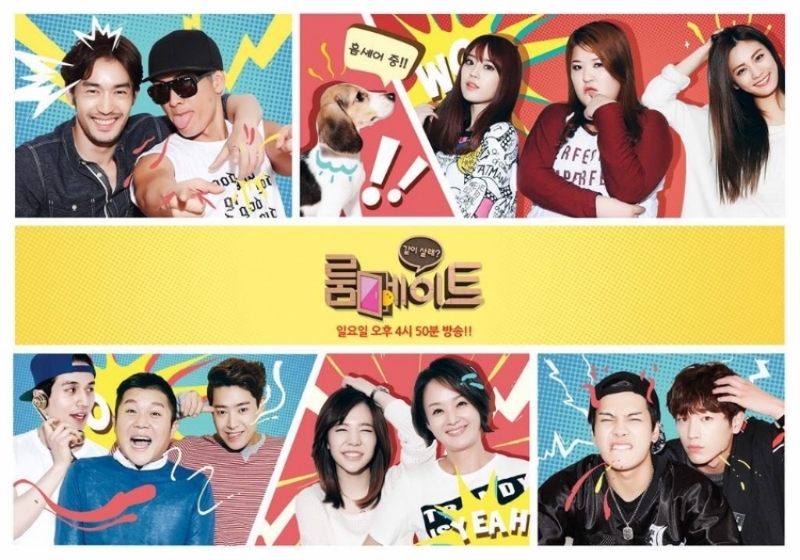 You know how in the last podcast Cherry and I talked about how much we loved Roommate? And then how, just yesterday, I did a second post pouring out my heart in over 1000 words, my love for Jackson? Well, today down from the mountain, word came that season two of Roommate is wrapping up and most of the cast is leaving. What the? Noooooo! At this point I’m truly feeling like I have angered the Kdrama gods in some way. First my blog gets shuttered, then Cha Tae Hyun signs on to Gong Hyo Jin’s next drama, the show I had been eagerly awaiting it’s end so I could finally watch, (Sweden Laundry) ends and word on the street the last episode ruins it, and now this?? I’m sorry guys, my bad Kdrama Karma is now negatively affecting the rest of you. Why did I resist for so long? It’s kind of the same reason I can’t watch We Got Married. I’m cool with regular life variety like Return of Superman and challenge variety like Running Man and Barefoot Friends (you know, before it got boring) but the set up sort of variety where you have to suspend your belief that the whole thing isn’t super duper fake. I was able to push past my ugh for the first couple of episodes of the Song Jae Rim and Kim So Eun couple on We Got Married, but once I got attached, and then remember it was not real? I just couldn’t make myself watch anymore.